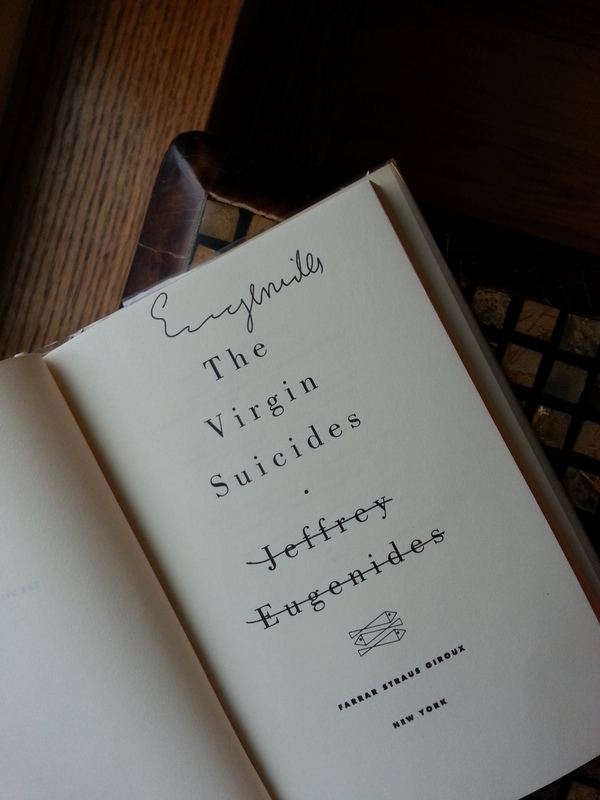 I love love love love The Virgin Suicides by Jeffrey Eugenides. Of course I have a ton of other favorites that might seem more uplifting or inspirational...like Little Women or the Little House books. Or classics like The Catcher in the Rye. 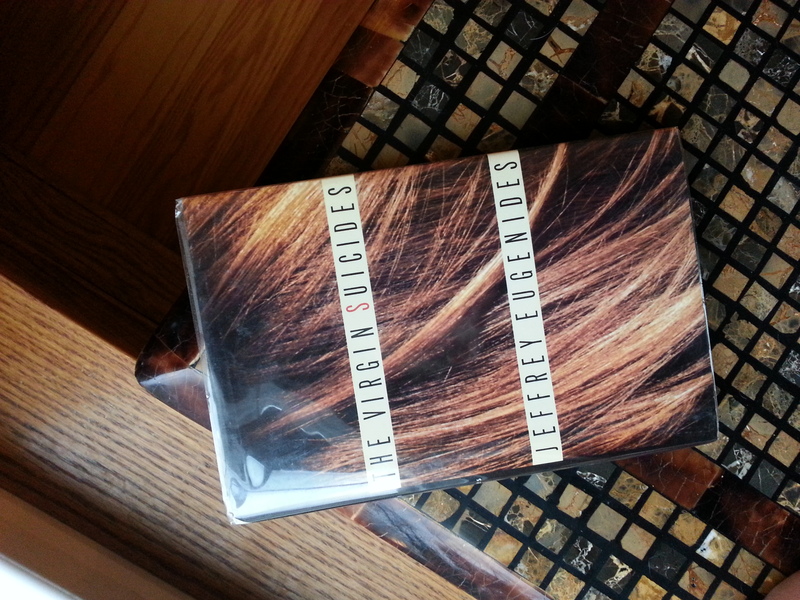 I love many many books, but I have a soft spot for Jeffrey Eugenides' debut novel. I read it for the first time in high school. Loved it. Read it again when writing my undergrad thesis on his second book, Middlesex, for which I won an award for literary research. BOOM. Then again about a trillion times when I used it as one of the novels in my graduate dissertation titled "Devastation on the Suburban Stage: Performativity and Surveillance in the novels of Richard Yates, Jeffrey Eugenides, and J.G. Ballard." No....I'm not joking, I did that.....ugh. However, I did get to exchange emails with Eugenides himself about my dissertation. Pretty rad stuff. And then again when Andrew (aka the best husband ever) gave me this signed, first edition copy for Christmas. Have I ever mentioned he gives the best presents ever?! If you've read this book, you're probably wondering what the hell is wrong with me. I can't really explain why I love this book so much. I just do. Do I think it's the best written novel I've ever read? NO, that would be Marilynne Robinson's Housekeeping...duh. But, it's just my favorite.